It’s finally here: released with July 2012 newsletter — the 2012 PROGRAM PREVIEW is now available! 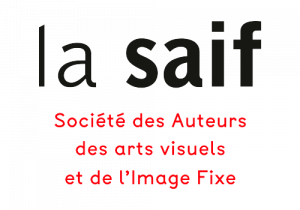 Get a copy of it now to find out more about the photographers we will be featuring this year, who the guest curators are, exhibition highlights and information on all our other activities. The full and complete program will only be released closer to the date of the festival. How to get it? 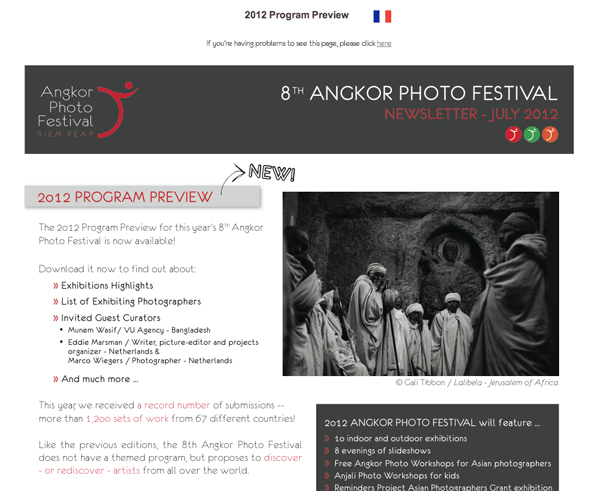 Download it directly from our July 2012 newsletter! For our friends in the press & media, you will also want to download our 2012 Press Images. See which are the images you can request from us to accompany your write-ups and publications! There’s more! 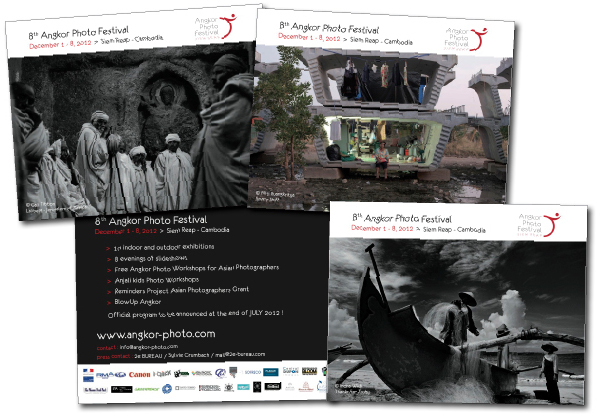 We have also just printed our lovely 2012 Festival Postcards, featuring three different designs with images from three photographers who will be showing their work at the festival.